Product Change Notification - PCN #: CTIU-00003 - Connect Tech Inc.
Hardware Revision ☑ See board numbers and revision on PCB silkscreen. 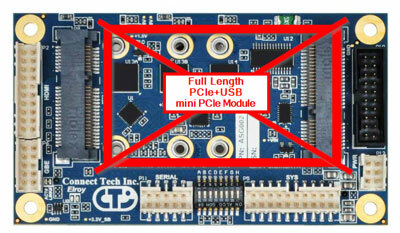 Elroy hardware revisions A-F do not reliably support all PCI Express based mini PCIe cards on P9. 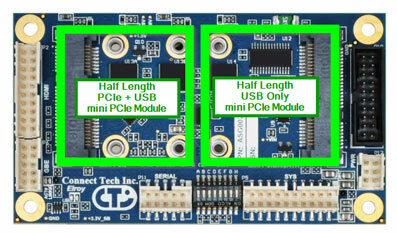 Some mini PCIe cards will not obtain a PCIe link; which can be detected by using PCI / PCI Express systems tools like lspci in Linux. Please see the figures below for an updated list of supported Mini PCIe / mSATA configurations. 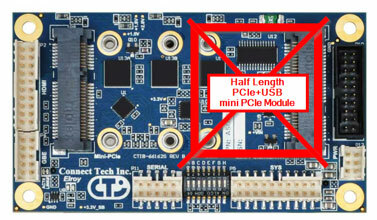 For existing Elroy users requiring both PCI Express links or a full-sized PCI Express based card please email sales@connecttech.com. The changes listed in Section 2 will add to the existing feature set of the product, supporting PCI Express based cards in both configurations. 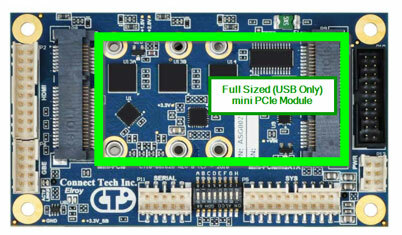 Customers using the Elroy revision F or older will have no issues moving to the newer revision. 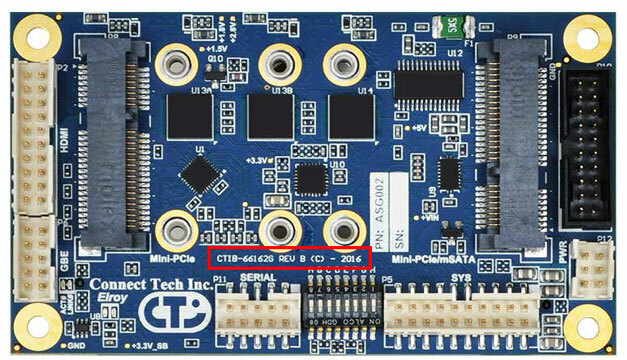 This issue will be fixed in Elroy Revision G. Please contact sales@connecttech.com for availability.